Kalamazoo, Michigan – April 1, 2016 – Stryker Corporation (NYSE: SYK) announced today the completion of its previously announced acquisition of Sage Products, LLC (“Sage”). Sage’s products include solutions for oral care, skin preparation and protection, patient cleaning and hygiene, turning and positioning devices and heel care boots. 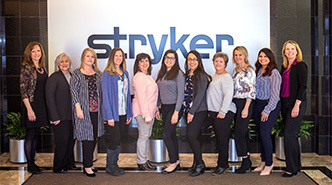 As indicated in the February 1, 2016 press release, the transaction is expected to be accretive to Stryker’s 2016 adjusted net earnings per diluted share and to be accretive thereafter. healthcare system; changes in financial markets; changes in the competitive environment; our ability to integrate acquisitions; and our ability to realize anticipated cost savings. Additional information concerning these and other factors is contained in our filings with the U.S. Securities and Exchange Commission, including our Annual Report on Form 10-K and Quarterly Reports on Form 10-Q.